Sometimes things break at our Museum. This particular case involved a computer with a broken power cord. This computer was designed to specifically run our Digital Dream Lab programming blocks station. Without this computer it meant that could not have the programming blocks out. Instead of just leaving a sign on the machine saying “broken, we are working on fixing this” we decided as a team to build a temporary exhibit piece. We have been wanting to build something that allows visitors to play with a Makey Makey. The Makey Makey allows you to control a computer using anything mildly conductive. 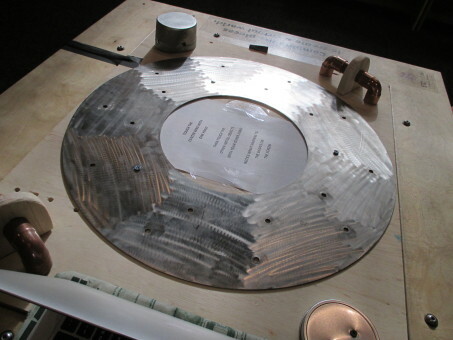 So we found some conductive materials in the basement (the large metal ring can from a different prototype for our Waterplay exhibit). 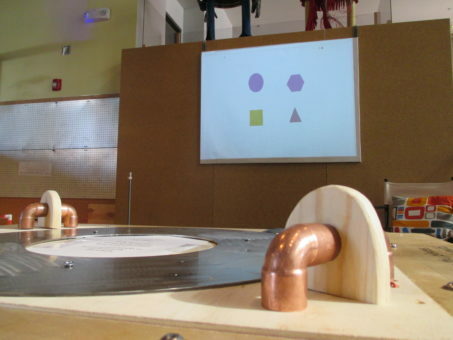 We mounted these materials to a large piece of wood that would fit on the Digital Dream Lab table. Then we had to wire the metal objects to the Makey Makey. Finally, we hooked the Makey Makey up to a computer that was running a simple program in Scratch. 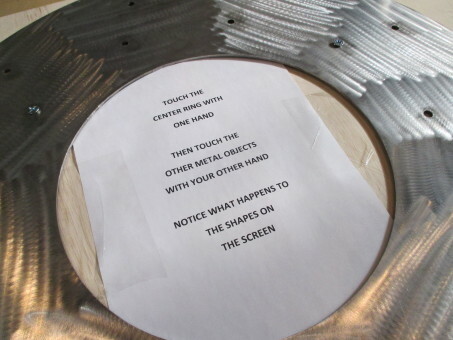 Visitors were then prompted to touch the center metal ring with one hand and then touch another metal object with another. 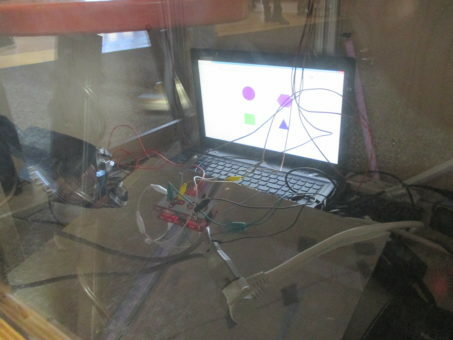 A person is conductive enough to turn on the Makey Makey and tell the computer to send a signal to the program in Scratch. Essentially you are completing a circuit, which is also what happens when you press a button on a computer keyboard. We were able to get this thing built and on the floor within a couple of hours. Visitors seemed to enjoy having something new to play with and I definitely enjoyed having something new to build. It is OK when something breaks in MAKESHOP, we have to the tools and resources to solve any number of problems.